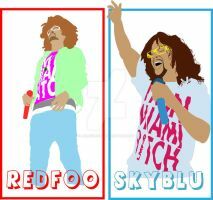 I love LMFAO. They are amazing. This is my wallpaper for them. I have been wanting to do some 3d typo for a while, so i thought 'hey why not' and i did it for this. yeah i made it last night at like 3 AM .